Reuters – Crude prices rose more than 1 percent on Wednesday to their highest level this year on hopes that oil markets will balance later this year, helped by output cuts from top producers as well as U.S. sanctions on OPEC members Iran and Venezuela. “We’re in a market waiting for the next headline to drive us higher or lower,” said Phil Flynn, analyst at Price Futures Group in Chicago, adding U.S.-China trade talks are among the issues that market participants have focused on the most. Brent futures rose 63 cents, or 0.95 percent, to settle at $67.08 a barrel. 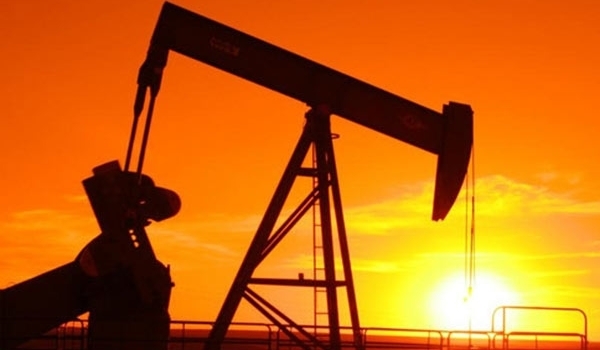 U.S. West Texas Intermediate crude (WTI) for delivery in March settled at $56.92 a barrel, up 83 cents, or 1.48 percent, ahead of the contract’s expiry. The more active April contract settled at $57.16, up 71 cents, or 1.38 percent. The Organization of the Petroleum Exporting Countries and other producers, including Russia – an alliance known as OPEC+ – agreed to reduce oil supply by 1.2 million barrels per day from Jan. 1 this year. A monitoring committee for OPEC and its allies found the group’s compliance with its agreement at 83 percent, four delegates told Reuters on Wednesday. “You could take that as a signal that Saudi Arabia will continue to take a proactive approach,” said Andy Lipow, president of Lipow Oil Associates in Houston. Some supply disruptions have further tightened supplies. Saudi state oil firm Aramco last week shut part of its Safaniyah offshore oil field after a power cable was inadvertently cut. Production at Libya’s contested El Sharara field has been halted since December. U.S. sanctions on Iran and Venezuela have also helped to reduce the availability of crude on the global market. However, price gains were capped as those supply disruptions were offset by expectations of inventory builds in the United States following a sharp reduction in refineries’ capacity utilization in the U.S. Midwest. U.S. crude stockpiles were expected to have risen by 3.1 million barrels last week, the fifth consecutive weekly build, an extended Reuters poll showed. Inventories at Cushing, Oklahoma, the main U.S. oil storage hub, will grow largely because U.S. data shows refinery capacity utilization in the Midwest dropped to 84.2 percent from 92.9 percent the previous week, following a string of planned and unplanned outages, analysts said. “That will leave a lot of barrels on the sidelines,” said Robert Yawger, director of energy futures at Mizuho in New York. Weekly U.S inventory data is delayed by a day due to the Presidents Day holiday on Monday. The American Petroleum Institute will release its data at 4:30 p.m. EST (2130 GMT), while the U.S. Energy Information Administration report is due on Thursday at 11 a.m. EST (1600 GMT). BNP Paribas said surging U.S. output would feed into lower oil prices toward the end of the year, with Brent to dip to an average of $67 by the fourth quarter and WTI to average $61. Will bill to protect Iranian whistleblowers really expose corruption?